When you’re hungry (or hangry) it’s not easy to choose what you want to eat. New Jersey’s got you covered with some of the best fusion restaurants in the country. Fusion food gives you more than one type of cuisine to choose from, bringing the best of two or more types of fare to the same menu. And who doesn’t love options?! Fuel your cravings at these 10 best fusion restaurants in New Jersey. Tacos and Korean food go as surprisingly well as PB&J. Their stunning lineup of meat, tofu, and seafood are introduced to Korean marinades and dressings and tucked inside a taco blanket. Burritos, bowls, burgers, chicken wings, and even Korean donuts have staked a place on the menu, giving you tons of interesting twists to choose from. This bright, charming eatery is a hotspot for authentic Peruvian fare with hints of other Latin American flair. Portions are plentiful, so there’s no chance you’re walking away hungry. Even better, this place will deliver via Grub Hub! This place is THE best thing to ever happen to buffets outside of Las Vegas. There’s not much this place doesn’t have: meat carving stations, sushi, a raw bar, seafood, Italian dishes, ceviche, and tons of desserts to satisfy your sweet tooth. This is the best international experience in the state, and you’ll want to make more than one trip through the line. This highly rated fusion restaurant combines Thai, Japanese, and Chinese cuisine into a single foodie destination. Artisanal sushi meets traditional soups, seafood, and noodle dishes to give you options galore. Fans love coming here for half-priced sushi rolls to get the best value in Pan-Asian cuisine in the area. This place goes above and beyond when it comes to food styles. Here you’ll find the best flavors of Thailand, China, Malaysia, Vietnam, and Singapore all rolled into a single menu. Even better, their BYOB policy lets you bring in your own favorite libations so you never have to settle for your second choice. Dream Indian fusion food from here makes life worth living! Their sleek dining room offers an elegant experience that will make you want to linger and savor every bite. Traditional food from China, India, and Thailand create a unique, succulent combination that’s hard to beat. Classic Japanese sushi joins forces with other Asian culinary inspiration to create this fan-approved fusion restaurant. Every dish is more like a work of art, offering fare that looks as good as it tastes. Noodles, soups, curries, poke, and their famous sushi burritos, there’s something here for every appetite. If you’re looking for an innovative fusion meal, this place doesn’t disappoint. 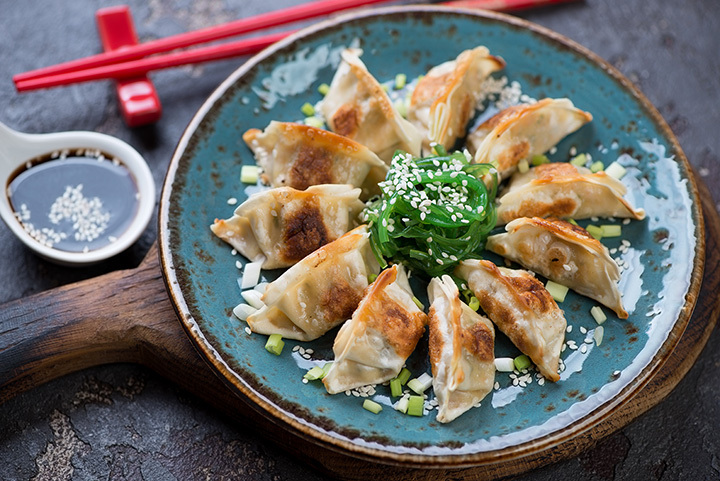 They’re well-known for their Chinese tea ceremonies and authentic Asian flavors, along with interesting finds like gator bites, mango scallops toast, lobster spring rolls, and honey walnut shrimp, among others. Choosing just one entree will be the hardest decision of your life. Sushi and wings might just become your new go-to combination. They focus on creating cuisine that not only tastes good but is also good for you. Thai, Chinese, Taiwanese, Vietnamese, and Japanese options can be found in abundance on their menu. Regional Indian food and Indo-Chinese fare harmonize in one delicious combination. Known for Halal food and chef-created dishes, you won’t find a better experience anywhere else in town. They also offer online ordering and delivery to make it easier to enjoy a meal on your terms.